According to the official website, Optineuro Xcel is a natural food supplement. As a supplement that is supposed to positively affect the brain, it provides your body with herbal extracts, amino acids, and nootropic substances. It is important to note that this is a supplement and that it is not intended to treat any ailments or diseases related to the brain such as brain atrophy, dementia, or Alzheimer’s disease. 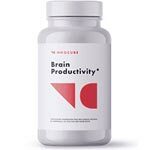 As a nootropic supplement, this product is available over the counter and does not require a prescription. However, you should consult your doctor before taking any supplement that is supposed to have an effect on your brain. The makers of Optineuro Xcel also claim that the product was developed under the supervision of nutritional therapists and that it stimulates neural activity to help elevate your mood and improve your memory. Who is the Manufacturer of Optineuro Xcel? The manufacturer of Optineuro Xcel is a company called Nutribioticals. Their website is currently being remade so there is some information that is currently unavailable. However, they appear to be a company that is based in the European Union and they produce a range of supplements such as beauty supplements and more. How Does Optineuro Xcel Work? 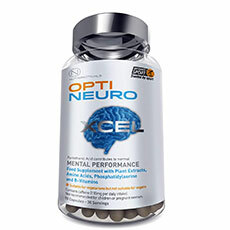 Optineuro Xcel apparently works by helping your brain perform at an optimal level. 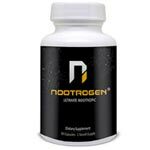 It does this through a blend of amino acids, vitamins, herbal extracts, and nootropic substances that take action in the blood-brain barrier and have a direct impact on neurotransmitters that are related to mood, memory, and focus. The product may also be able to help your brain produce more dopamine and process serotonin. Optineuro Xcel Ingredients – Are They Safe & Effective? There are a number of ingredients that make up Optineuro Xcel and most of them seem to be natural. Optineuro Xcel relies on a mixture of minerals, vitamins, and amino acids for its effectiveness so let’s take a look at exactly what’s in this supplement. L-Theanine – This is the first amino acid listed in Optineuro Xcel and it is said to have a positive effect on memory and mood elevation. L-Glutamine – Proteins are essential to all organs including the brain and L-glutamine is an amino acid that produces protein. Bacopa – Bacopa is a natural herbal extract and it is said to have benefits for cognitive function. Taurine – Taurine is mostly used in substances like Optineuro Xcel as an antioxidant. Zinc – Zinc is an important mineral for synaptic transmission and protein synthesis in the brain. Vitamin B3 – Vitamin B3 is sometimes called niacin and it is believed to have a positive effect on brain function. Coenzyme Q10 – This enzyme may provide energy to the cells and act as an antioxidant, improving the brain’s defense against oxidative stress. Iron – Iron is central to our blood cells that carry oxygen to our brain. What are the Advantages of Optineuro Xcel? Optineuro Xcel may be able to enhance your mood by better equipping your brain to deal with stress. This cognitive supplement may be able to improve your memory. Optineuro Xcel uses all natural products that should produce little to no side effects. This product may be able to improve your concentration as well. What are the Disadvantages of Optineuro Xcel? This product is not suitable for vegans to ingest. It is recommended that this product should not be taken before you go to sleep. It is said that this product has a stimulating nature which may result in a crash. There is no concrete evidence that coenzyme Q10 has a significant impact on brain function. How Should you Take Optineuro Xcel? According to the official Nutribioticals website, the serving suggestion is to take 3 pills a day during a meal or directly after a meal and not to exceed this dosage. How Much Does Optineuro Xcel Cost? The product is available mostly through online retailers so the prices may vary a bit based on which site you are on but one popular retailer has it for $63.99. What is Optineuro Xcel’s Return Policy? Again, Optineuro Xcel is available primarily through online retailers so the return policies you encounter may vary depending on who you are buying the product from. Does Optineuro Xcel Offer A Free Trial? There is currently no free trial offer for Optineuro Xcel. However, the company’s site is under construction as of this date and they may provide one once it is done. It is important to consider that there is some beneficial aspects to Optineuro Xcel and that there are some concerning ones as well. The benefits are that it is safe for vegetarians, it may be able to improve your memory, and that it includes all natural ingredients. The drawbacks are that Optineuro Xcel is not suitable for vegans, it is only available through online retailers, and may keep you up if you take it before you go to sleep. While this product deserves some consideration if you are in the market for a brain supplement, you should also consider similar products. More than ever people of all ages are struggling with memory problems. People are unable to disconnect from their work, while students are under immense pressure to perform. Brains are overloaded with information that must be remembered. A quality memory enhancement product should contain clinically proven ingredients that will help to enhance not only memory, but also focus and night concentration. Memory products should help to optimize overall mental health and brain function. Most importantly a memory product should work safely and gently to promote cognitive function. Below you'll find some of the most effective memory products on the market today, in our opinion. Read about The Top Rated Memory Supplements of the Year 2019.